This course is sanctioned by North Carolina Training & Standards! Verbal de-escalation is what we are trained to do. However, most trainers are failing to show how this relates to helping the officer on the beat, even when you have to go hands on. Derrick Crews has been an officer for over 20 years, making over 1,000 criminal arrests. He enjoyed the street and having fun. Now, having the added experience of a CALEA® manager, internal affairs investigator, and a use of force trainer, he brings a unique perspective to the use of verbal de-escalation. 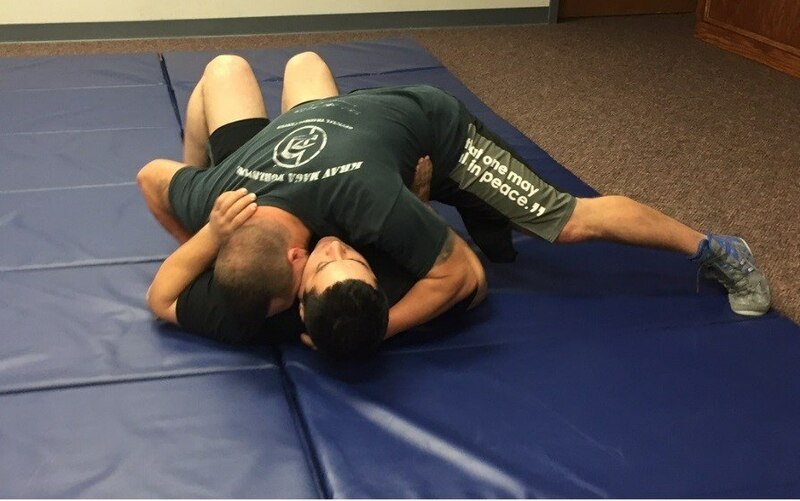 Learn how to quickly use state recommended de-escalation techniques in seconds, while still placing the working officer in the best position to use force as needed. This one-day course provides a simple step process to verbally gain voluntary compliance. Subject matter includes pre-assaultive behaviors, key terms to use when writing your use of force report, and lots of scenarios, so bring your Hollywood smile. When in a struggle law enforcement officers find themselves on the ground. While ground fighting is an art form, learning twelve solid basic techniques may greatly increase your chances of winning. This 2-day class will help any male / female or rookie / veteran learn how to handle themselves on the ground while in a fight. Not only will you learn 12 solid techniques, you will be exposed to fighting drills that will build your confidence. Such opportunity helps facilitate learning how each technique can be combined into the dynamics of a fight. *Attire: Gym clothing / 5.11 pants / BDU’s / mouth guard & groin protection suggested. All students are strongly encouraged to bring a zip drive with them to class for additional course materials! FOR ADDITIONAL COURSE AND INSTRUCTOR DETAILS, DOWNLOAD AND SHARE THE COURSE FLYER PROVIDED BELOW!